As college approaches, deciding which major you are going to pursue can seem overwhelming, and with hundreds of STEM pathways available, knowing which path is right for you can seem like an impossible choice to make. Over the past few years, the Unite program at the University of New Mexico (UNM) has worked to mitigate the stress that’s often associated with these choices by giving Unite students the opportunity to explore STEM facilities and speak with people who are in STEM careers. AEOP’s Unite program provide students in grades nine through 12 with an academically enriching summer experience focused on the exploration of various STEM majors and careers. 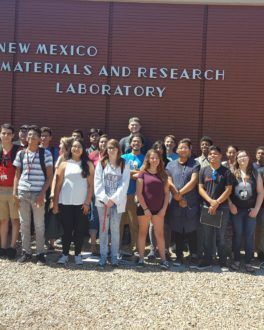 The Unite program at the UNM invites STEM-curious students onto campus for four exciting weeks, including STEM-focused field trips to places like air force research labs. A few times a week, students participate in lunchtime meet and greets, in which they have the chance to engage with a variety of STEM professionals to hear about their experiences and pathways firsthand. 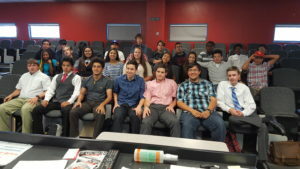 These experiences, which typically feature at least 10 STEM professionals from diverse fields, have helped UNM Unite students understand the breadth of opportunity waiting for them in and after college! Please contact Ms. Katherine Love with questions or for more information via phone (505-277-9921) or email katherin@unm.edu.